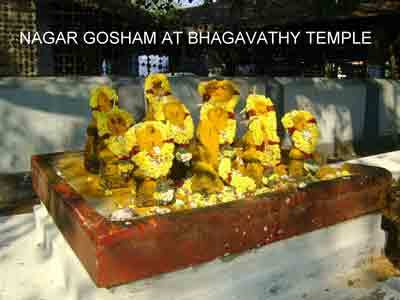 One of the oldest temple which is located in Tharekkad village, in the Palakkad town. 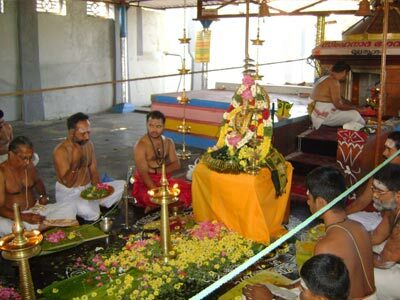 As per the facts there are 18 main Brahminical villages in and around Palakkad and this Simhanadha Bhagavathy is worshiped first like any Hindu worshiping lord Ganesha. 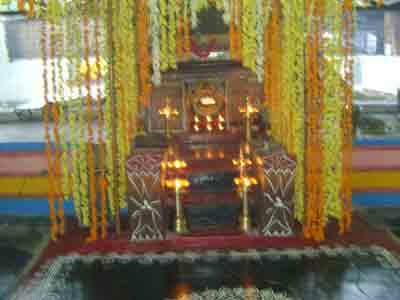 Even till date the first pooja that is performed in Nurani before giving a start to the festival 'Saasthapreethi" is, they will come and worship Simhanadha Bhagavathy and do the paayasam neivedhyam to the Bhagavathy. There is no deity worship here.The Devi is Naadha Swaroopini and the same is worshiped in the form of a "Kuthu Vilakku". 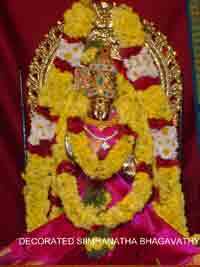 Here the main festival is "Mandala Vilakku". 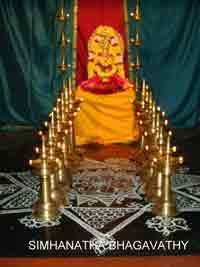 This is celebrated on the very next Friday after the 45 days mandala vratham during the month of December. This is a grant festival and during these days many vedic activities are conducted in the morning time and since Bhagavathy is a Naadha Swaroopini,in the evenings carnatic music concerts.